RESERVED UNTIL MARCH 1st. Please do not purchase. 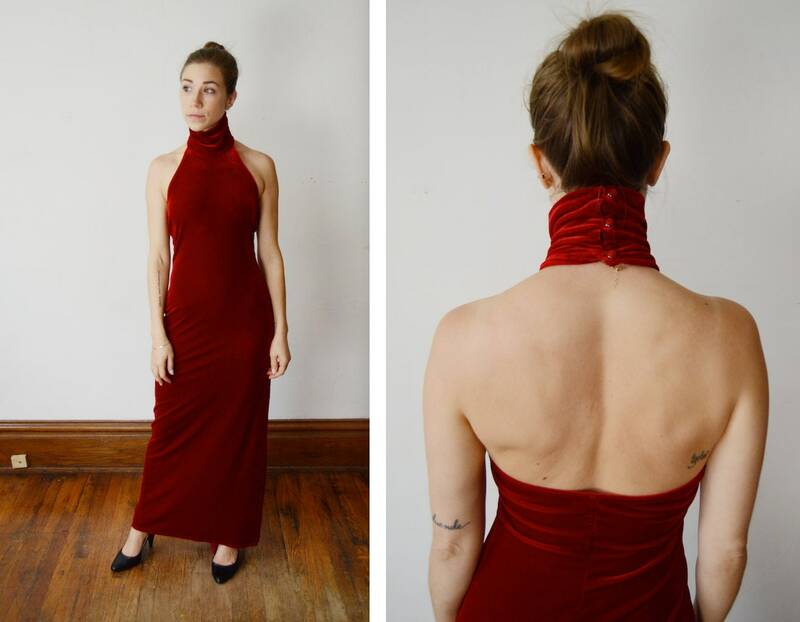 Description: A stretchy body hugging red velvet maxi dress, has three buttons at the back of the neck. Shown on an XS model. Fabric: polyester and spandex blend most likely.